Ultima Online > Announcements > Summer is Here! A Gift For You! Summer is Here! A Gift For You! 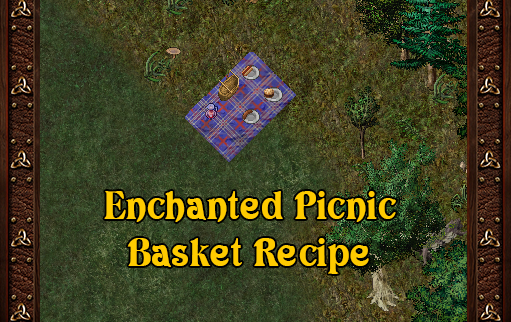 Summertime has arrive for (most) of us and to celebrate a “Recipe for an Enchanted Picnic Basket” can be claimed on all shards after 4pm ET on July 17, 2018 by veteran accounts for the next 5 days by visiting the Britain Commons and using the bear statue. Enjoy! The bear statues will be placed manually, so please allow some time for placement before visiting the commons. Happy Summer!